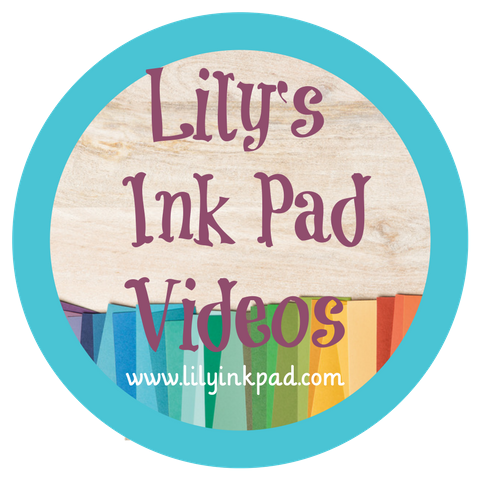 Welcome to Lily's Ink Pad as I say farewell to one of my favorite colors, Lucky Limeade. As a 2011-2013 In Color, I knew it was time to start saying goodbye. With the color refresh, Lucky Limeade's fate is sealed and it will soon be gone. Never fear, you can still enjoy it here! 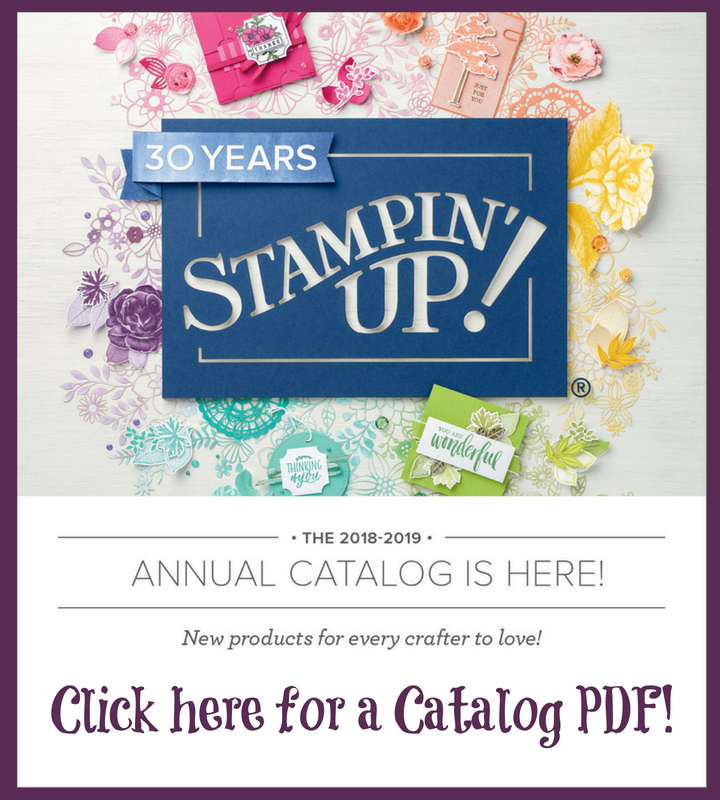 My friends at Stampin' Addicts have decided to throw together quick Retiring Color Blog Hop so we can appreciate the Retiring Colors one last time. As all of them are available on a "While Supplies Last" basis, you might want to place any stocking up orders ASAP. You may have come from Debra's Blog featuring River Rock or you may be starting on my blog. Next up is Betty's Summary of Colors. Any way you click you'll be going in a big loop to 11 other stops til you get back here. 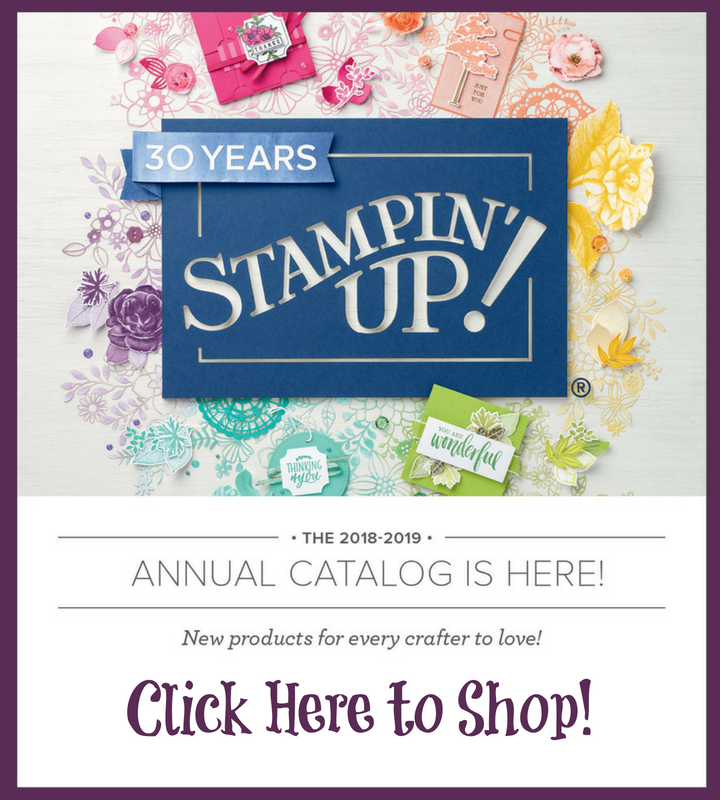 You can always chat it up at Stampin' Addicts to share your appreciation! Well, I have ONE project to share featuring one of my favorite colors. That little frog has been nagging me to use him in a card, but I couldn't think up a great idea until today when I imagined him grinning at me from around a corner. The design just popped into my head and this is what I got! Cute, huh? Well, there's more to see. Click onward to Betty's blog for a Summary of Colors or go backwards to Debra's Blog for River Rock! That is too stinkin' cute Sara! 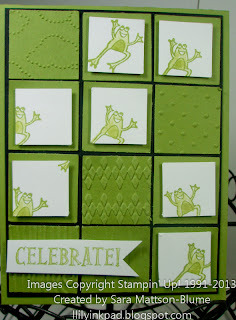 I love monochromatic cards and cards with texture and dimension. You've combined all 3 - awesome. I'm definitely going to CASE this idea. Such a super cute card! 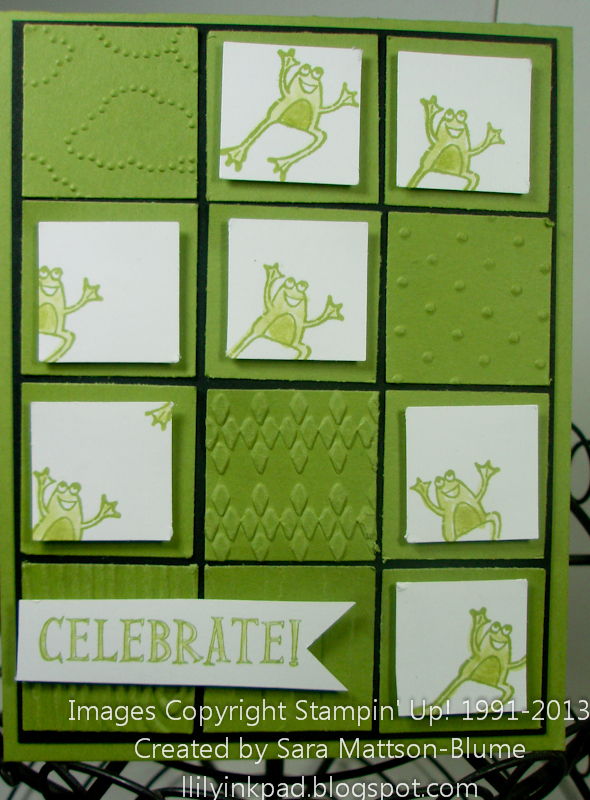 I love that little froggie and all of the different textures you used with him! So sad to see Lucky Limeade go. So cute! Love all the textures and the monochromatic look. I love Limeade too and I am sad that it is the only color not coming back. But I did not want to give up Old Olive to replace it. Too cute! Love the layout and the combination of textures. How cute is this??!! I love the layout and such a cute use of this stamp!! LOL -- a hopping card for a hop! So cute! The frog card is so cute. Love it. I would definitely kiss him! Fun placement of the little froggie guy! Will be missing Lucky Limeade for the sassy green pop it adds. Ahahahahaha, what a perfect stamp to use with Lucky Limeade! Adding the bit of black really makes the whole card pop. Love it! Sara, what a fun card. That frog is just hopping from square to square. Love the use of emboss on different squares with different textures. I love all the embossing on this card - it really adds a nice touch. I was so sad to see all my favorite colors except Lucky Limeade are staying...maybe that Gumball Green will grow on me, though I'm not so sure..
Sara way to cute is this card!!! I love it!! I will miss this color so much!